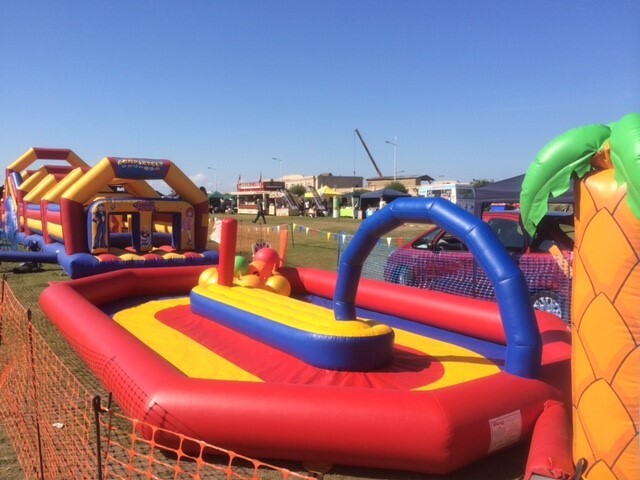 Here we have a smaller version of the Gand National Race Track for children and adults. This version is shorter and not so wide. This track does not have the hurdles to clear, so you can hurtle around the track as fast as you like and bounce as much as you want. 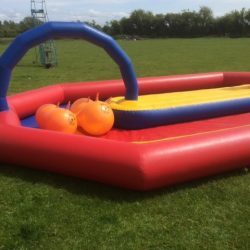 Provided with 5 x space hoppers this is a great attraction for any Family bbq, fete, funday, wedding or party!! 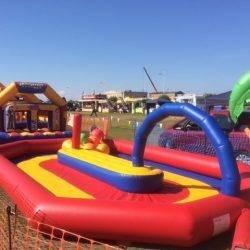 !Race your friends around our space hopper track for loads of bouncy fun! Don’t forget to take a look around our website at some of our other great products and services. Remember we do offer a discount when booking more than one item. 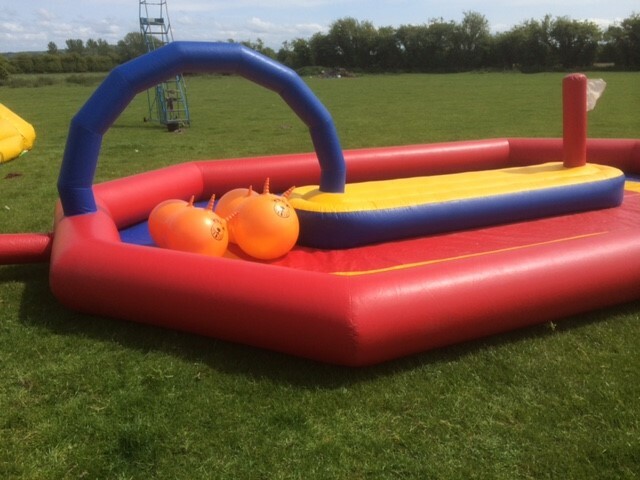 The classic spacehopper has just been made double the fun! Hold on tight on this tandem space hopper because as well as the usual bumps you have the other person’s bouncing to cope with! 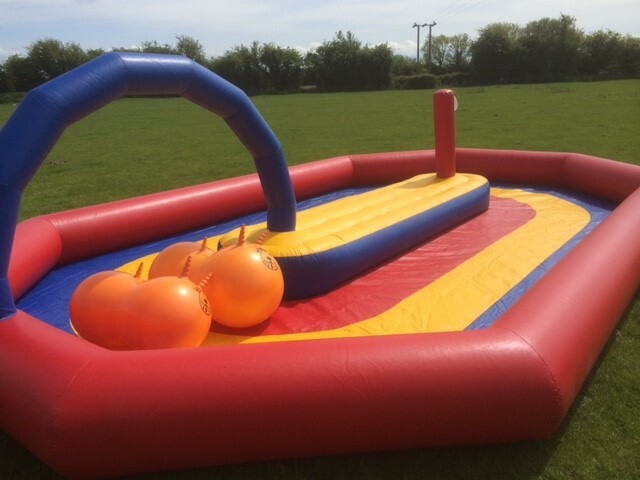 can be used with both our adult grand national space hopper track and our smaller track. 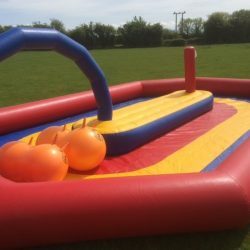 Please note: Tandem space hoppers are hired out separately and are charge at an extra cost.